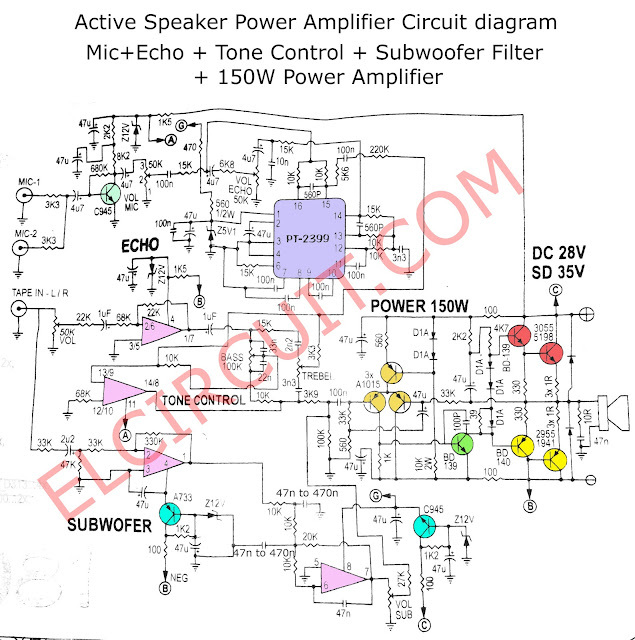 Active Speaker is an power amplifier that includes preamp, so you dont need other electronic audio additional item for pre amp , This is i have power amplifier that describe it, including Mic+Echo + Tone Control + Subwoofer Filter and main amplifier that have power output 150W RMS. Tape in L/R is input from audio player. 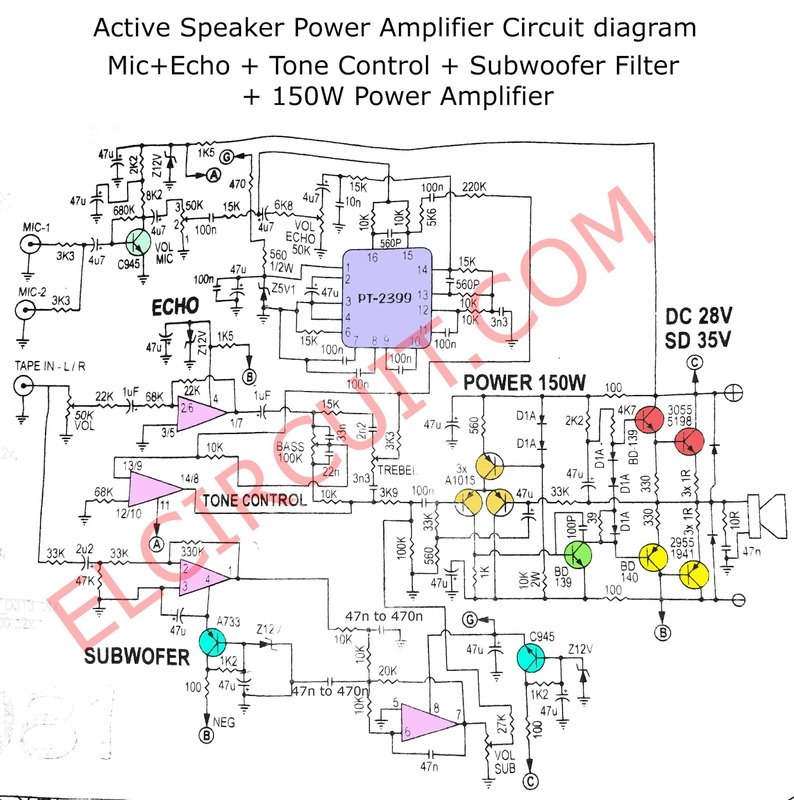 Echo controller on potentiometer 50K Echo, echo processing on based circuit by using IC PT2399 (See fully Echo effect with IC PT2399 & 4558) , Subwoofer Controller at potentio meter that is Vol Sub you can using 50K Ohms. Power Amplifier using Transistor 2n3055 and mj2955 as a final stage transistor. Power Output about 150 Watt at 25V DC power supply voltage.